Tamishia Henry is the Chief Executive Officer (CEO) and Co-Founder of Good Steward Business and Benefits Consulting, LLC. As CEO, Tamishia provides day-to-day oversight of Good Steward’s consulting and benefits counseling operations. She has extensive knowledge in developing and implementing best practices, as well as designing quality assurance controls and systems to guide businesses toward their strategic vision. Tamishia is passionate about the value of Good Steward’s services and is committed to identifying and leveraging needed resources for partner organizations and the persons with disabilities that they serve. She recognizes that Good Steward’s mission has a significant downstream positive impact on the lives of many individuals. As a prior Director for Volunteer Programs at a Virginia-based church, Tamishia was a catalyst for expanding the volunteer program to over 600 volunteers. She also managed a $1.5M operational budget and spearheaded youth enrichment and training programs. Tamishia did all of this using her strong desire to help and her great head for business. She also played a key role in building new funding partnerships with the Department of Aging and Rehabilitative Services (DARS), employers, staff, and the community. 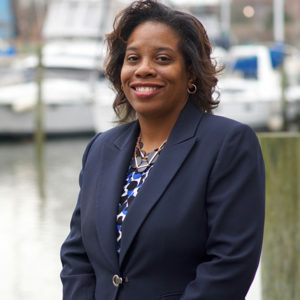 Tamishia earned her Bachelors of Social Work from Norfolk State University and a Masters of Public Administration from Regent University. She is also a certified Work Incentive Practitioner through Cornell University. Her background is the foundation for her commitment to the work of Good Steward, but her heart of service is the driving force to expand opportunities for small businesses and improve the lives of those with disabilities.